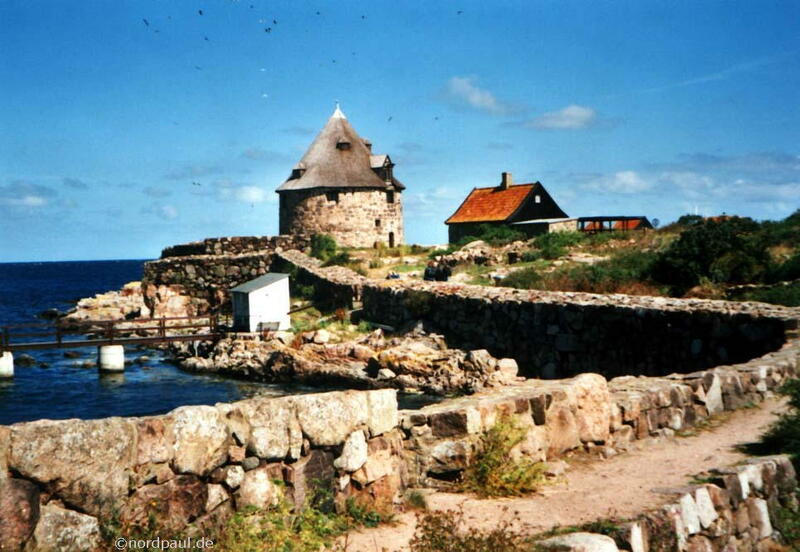 In the following report I want to present a few buildings and landscapes of the island Bornholm and of the neighbouring Pea Islands. 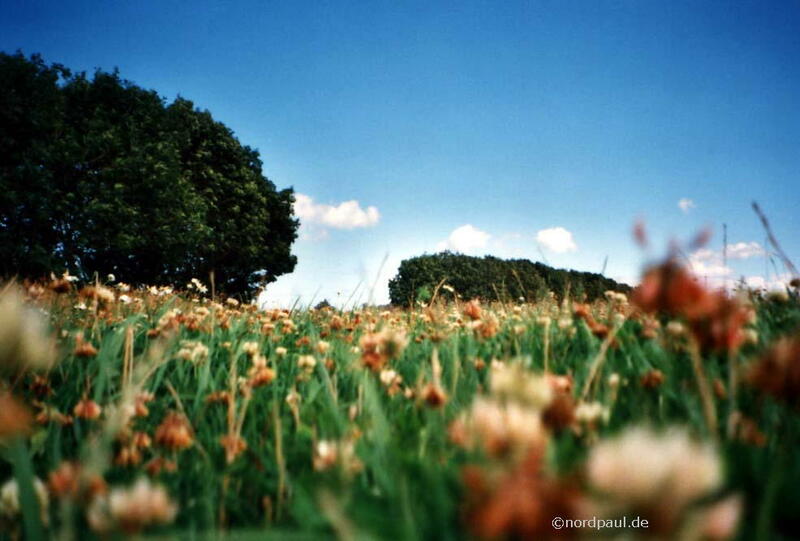 I saw them from my bicycle in the summer 2000. 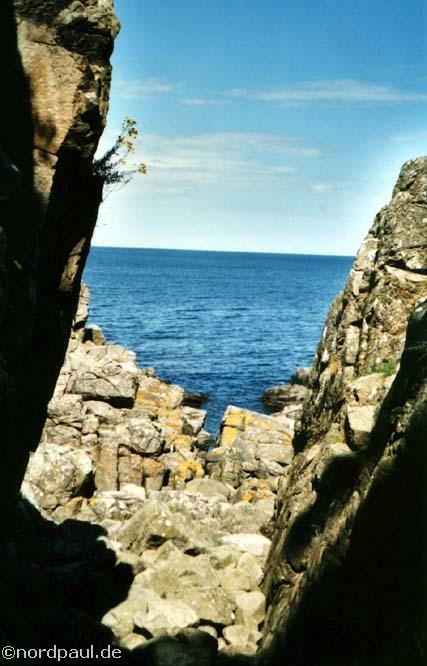 Bornholm is the easternmost island of Denmark and situated in the middle of the Baltic Sea between Sweden, Poland and Germany. 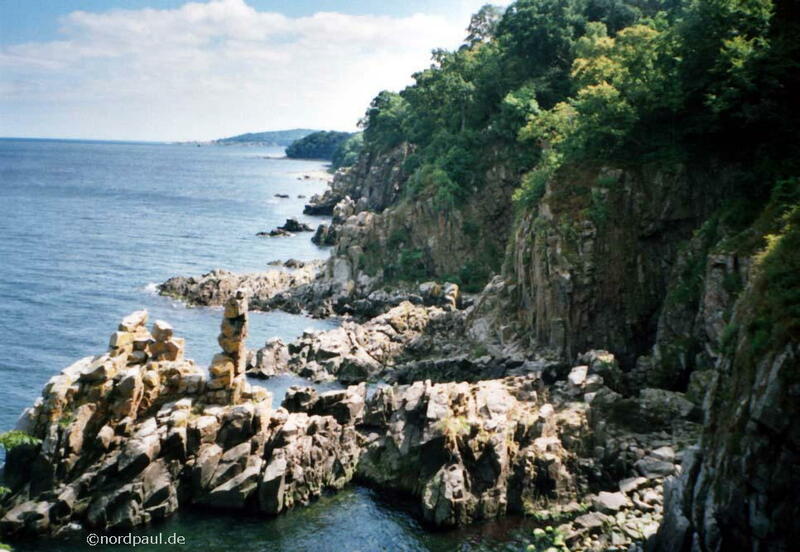 Bornholm is nearly as large as the German island Rügen and a good place for going by bicycle and tent around the island. You can reach Bornholm by ferry from Denmark (Copenhagen), Sweden (Ystad), Poland (Swinoujscie on Wolín) or Germany (Mukran on Rügen). Taking the bicycle with you is hardly more expensive than a normal ferry passage. 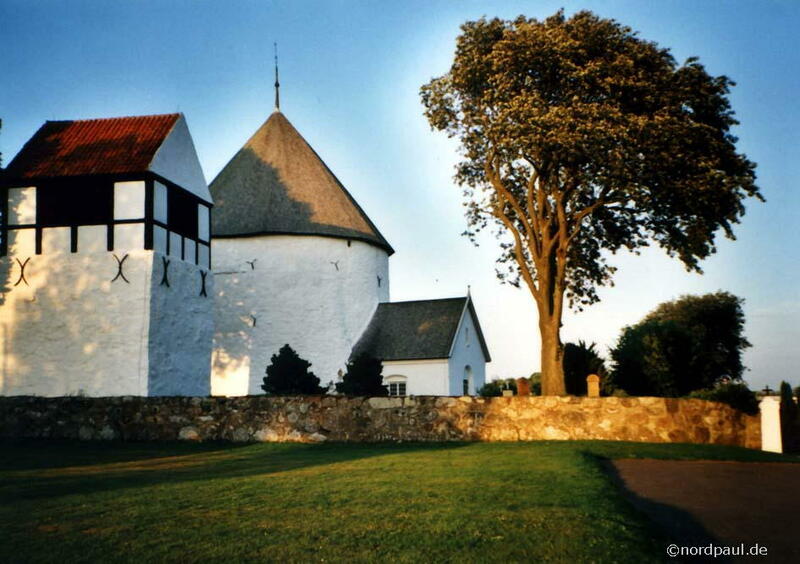 The four Round Churches are typical and well known sights at Bornholm. 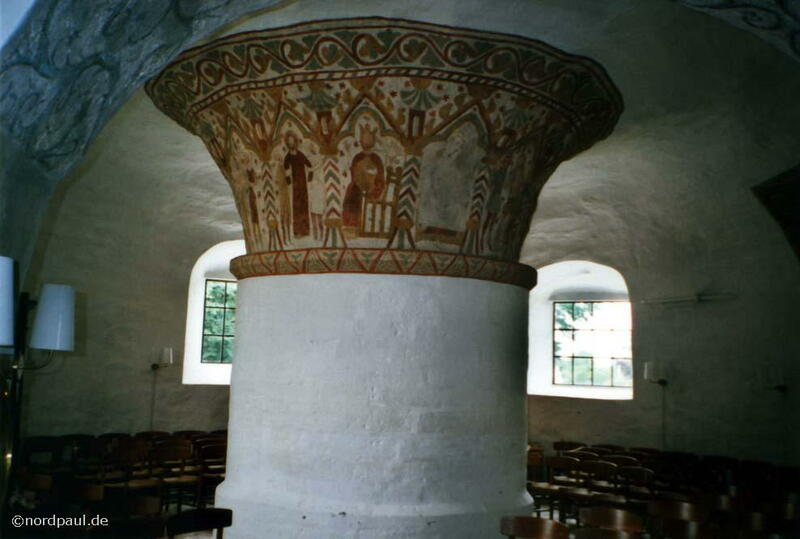 They were built in the 12th Century and you find them in Olsker, Nyker, Nylars and Østerlars. 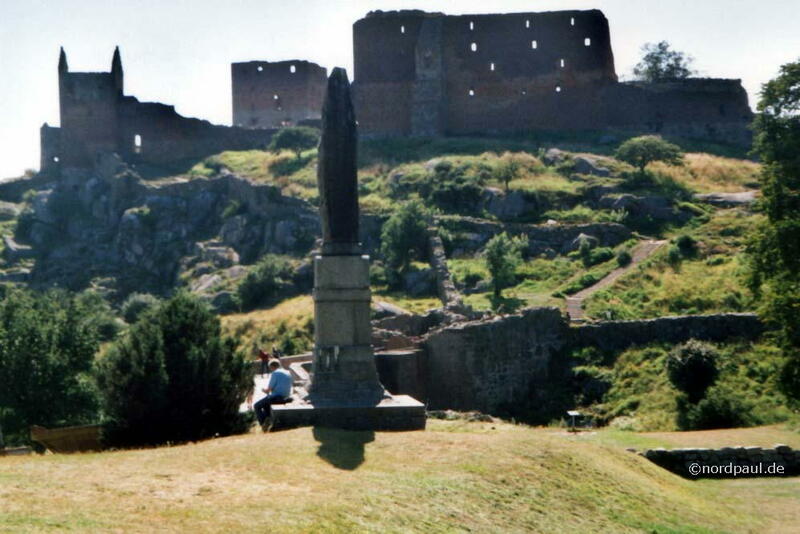 The fortress ruin Hammershus is also very famous. 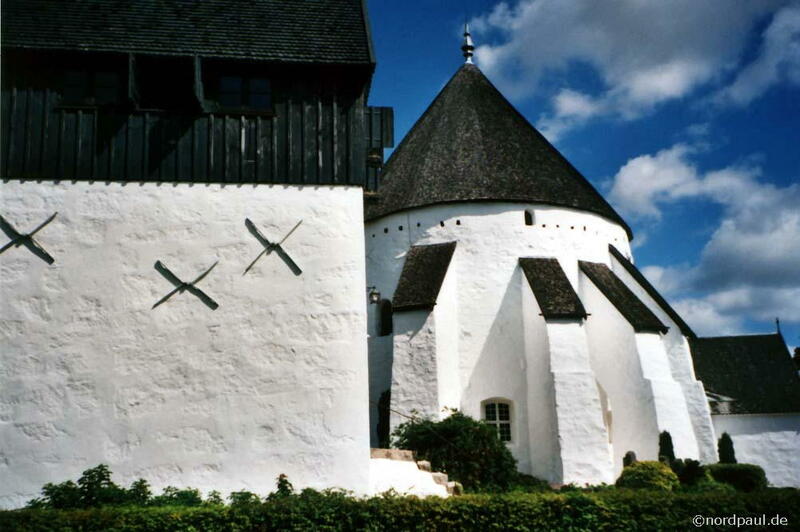 It is the largest castle ruin in Northern Europe (free entrance, 2000). 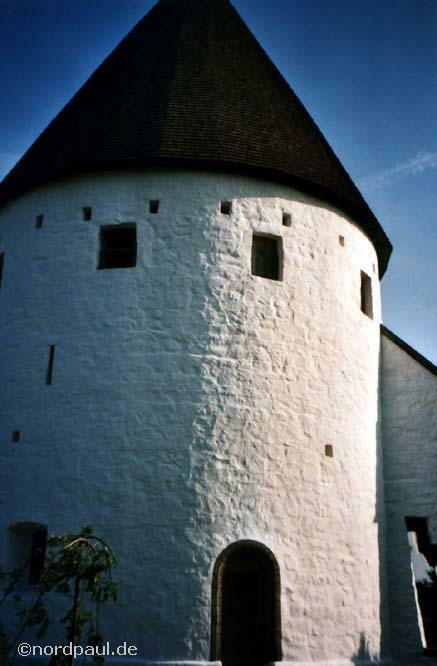 Hammershus was built around the year 1250 as a usual castle. Nine years later it was rebuilt into a solid castle fortress after the first destruction. 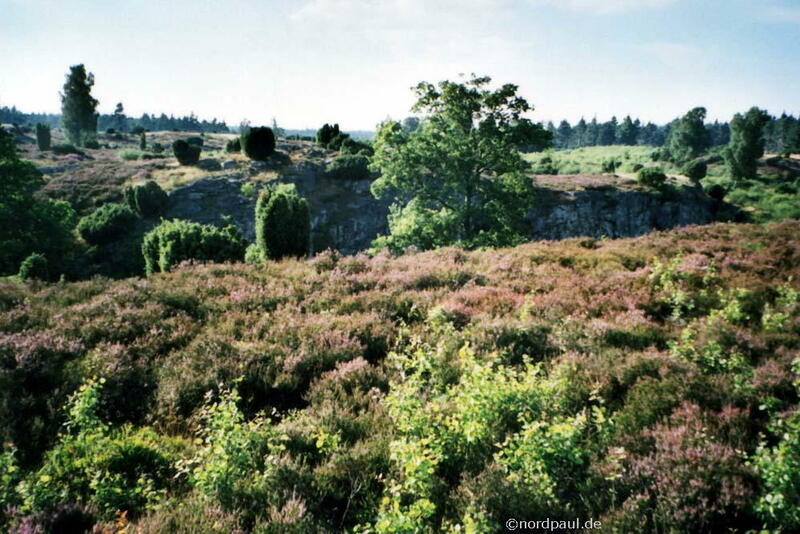 At Bornholm the varied landscape is very interesting and also somewhat unexpected: endless golden fields, deep dark forests, steep rock coasts and large sand beaches, hills and mountains. 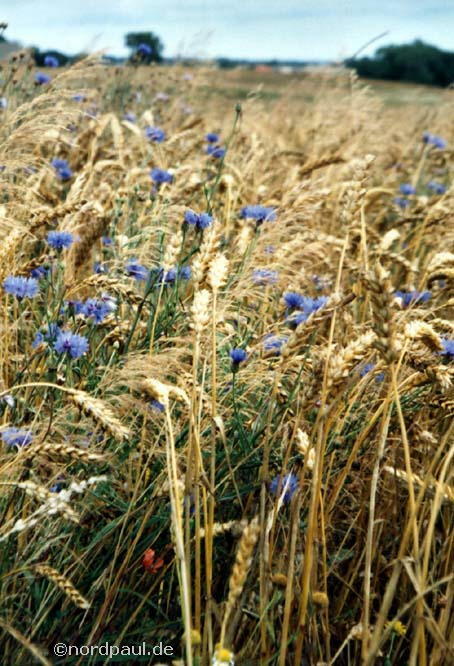 And everywhere you see small farms in the nature. 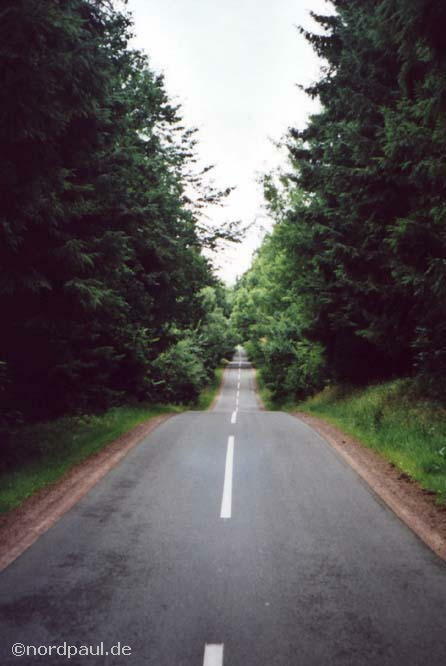 On Bornholm there is a well kept and often asphalted bicycle way net. Many ways are far away from the main streets on former railway lines. In addition there are also busses into all towns and villages. Putting up the tents in the nature (as it is possible in Sweden or Norway) is not permitted on Bornholm. But there are commercial campgrounds, which can be used only with a Campingcard and yearly mark (available at the campgrounds). 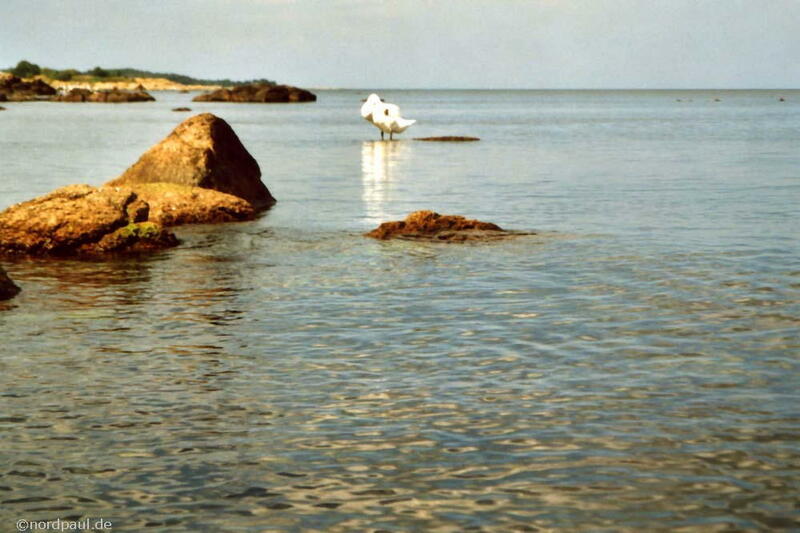 Cycling on Bornholm is really a great adventure because of the manifold landscapes and the good conditions.